Shariatpur District, in Bangladesh is surrounded by the two big rivers, Padma at north and the Meghna at eastern side. When the two rivers attain peak flood levels simultaneously, this district faces devastating floods. These floods have a destructive effect on agriculture especially on Aman variety up to certain level of flood depth but also have a positive impact on following year’s Boro production. 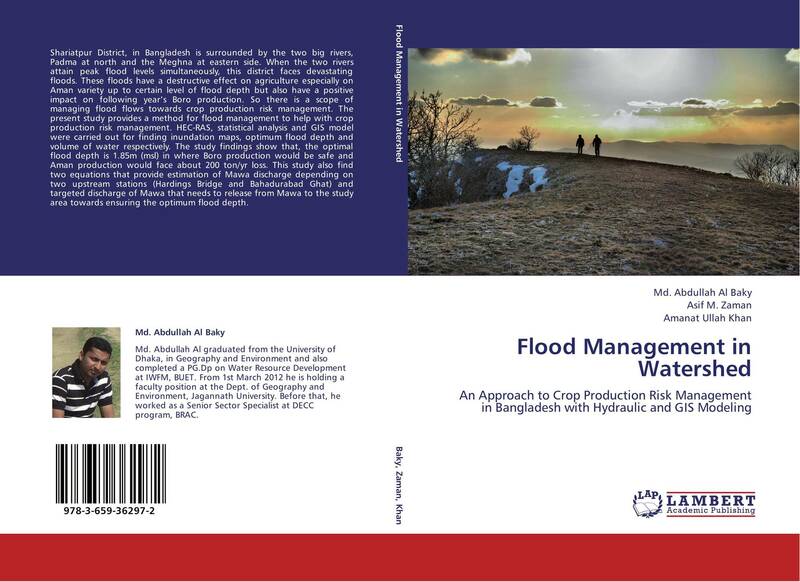 So there is a scope of managing flood flows towards crop production risk management. 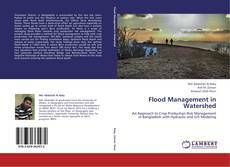 The present study provides a method for flood management to help with crop production risk management. HEC-RAS, statistical analysis and GIS model were carried out for finding inundation maps, optimum flood depth and volume of water respectively. The study findings show that, the optimal flood depth is 1.85m (msl) in where Boro production would be safe and Aman production would face about 200 ton/yr loss. This study also find two equations that provide estimation of Mawa discharge depending on two upstream stations (Hardings Bridge and Bahadurabad Ghat) and targeted discharge of Mawa that needs to release from Mawa to the study area towards ensuring the optimum flood depth.